Alex DeAngelis, assistant coach, calls the Golden Eagles to a meeting on the mound. 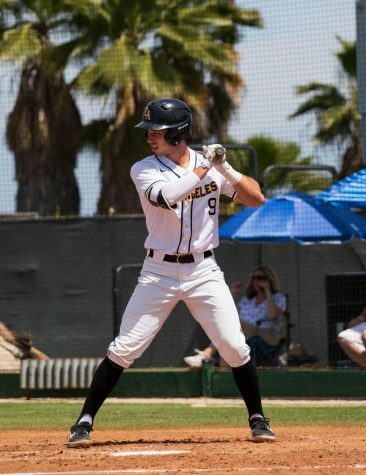 It was a rough weekend for the Cal State LA men’s baseball team as they won only one game in a four-game California Collegiate Athletic Association (CCAA) series against the Sonoma State Seawolves at Seawolf Diamond in Rohnert Park. The series opener was delayed until Saturday due to a Friday rainout and both teams took part in a Saturday doubleheader. The Golden Eagles dropped the first two games of the series, as they lost the series opener 7-1 and second game 4-3 in 14 innings. Nick Moisant started the first game for Cal State LA. He pitched five innings and gave up five runs (four earned) on eight hits and struck out five. All five of Moisant’s runs came in the third. Austin Nazabal relieved Moisant in the sixth and gave up two runs in two innings. The Golden Eagles got their lone run in the eighth after shortstop Tyler Odekirk scored on an RBI (run batted in) double from first baseman Alec Daily. Saxon Andross started the nightcap and delivered a strong outing for Cal State LA. He gave up one run on four hits in seven innings and struck out eight. The Golden Eagles scored the first run of the game in the seventh inning after second baseman Jordan Peabody scored on an RBI single by third baseman/center fielder Nate Alam. 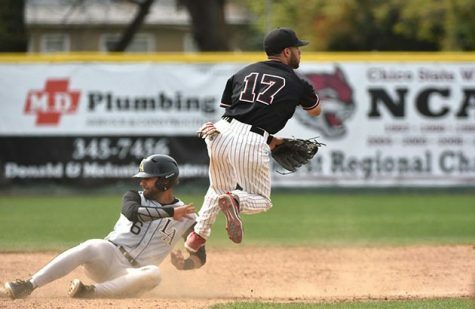 The Seawolves answered back with a run of their own in the seventh to tie the game. With the game tied going into the ninth, the umpires called the game due to darkness. The game resumed on Sunday morning and the Golden Eagles came out ready to fight. 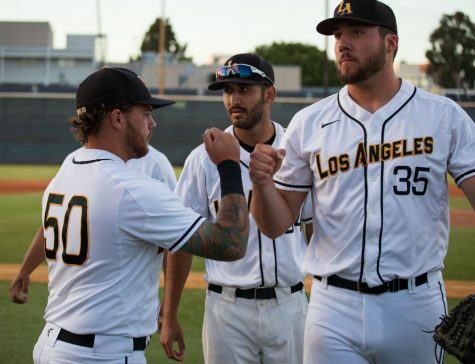 Reliever Dylan Suppan came for Cal State LA and pitched four scoreless innings without allowing a hit. The Golden Eagles finally broke the tie in the 13th, after an RBI double from Alam scored Daily and Micah Hee, who pinch ran in the inning. Zachary Grande relieved Suppan in the 13th but gave up the lead as the Seawolves tied the game, 3-3. Miguel Garcia came in to pitch for Cal State LA in the 14th and allowed a bases-loaded walk as the Seawolves won 4-3. But the day was not over just yet, as both teams still had a Sunday doubleheader to play. 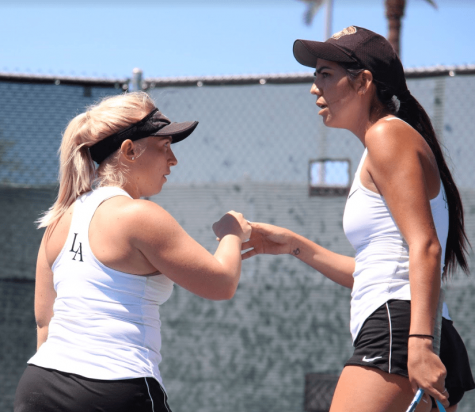 Cal State LA had to settle for a split as they won the first game, 9-5 and fell in the second game, 3-0. Alec Daily got the nod to start Game 1 and was dominant over seven innings, allowing just one run. He ran into some trouble in both the eighth and ninth innings, allowing two runs in each inning. Johnny Virgen relieved Daily in the ninth inning shut the door on the Seawolves as they threatened with the bases-loaded and secured his first save of the season. 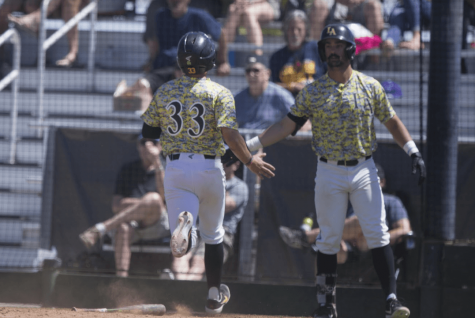 The Golden Eagles blew the game open with a five-run seventh inning, highlighted by a two-run double by designated hitter Aaron McCann. 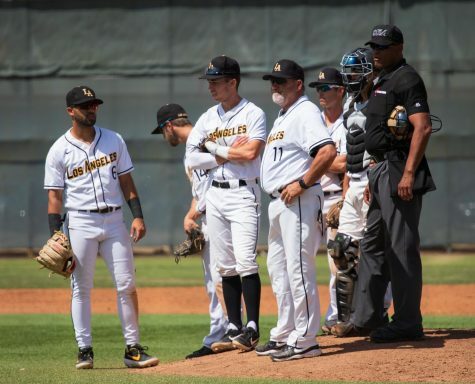 Cal State LA suffered a frustrating loss in seven-inning nightcap as they were shutout for the first time this season. Micah Hee took the bump and delivered a quality start, six innings with only four hits allowed and three runs allowed. However, Hee’s performance ended with his first loss of the season. Offensively, the Golden Eagles were unable to gain any momentum as they were limited to four hits and struck-out 10 times as a team. With the series loss, Cal State LA’s overall record now stands at 15-18 (14-15 CCAA). They are currently in seventh place of the CCAA, two games behind Sonoma State. 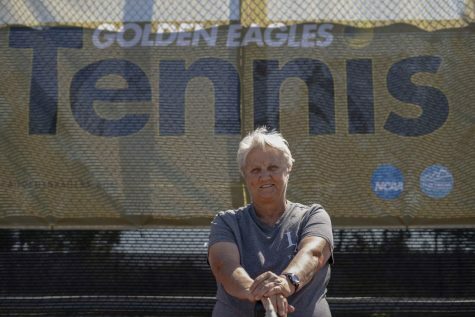 The Golden Eagles look to get back to their winning ways with a four-game series against the Cal State San Marcos Cougars. The first two games will be played at San Marcos, CA starting Friday at 3 p.m. and Saturday at 3 p.m.